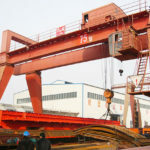 15 ton gantry crane is an economical lifting solution to handle small and medium sized materials in various fields, such as workshop, warehouse, storage yards, shipyards, railway and quay. 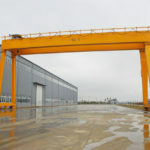 The gantry crane is usually adaptable for both indoor and outdoor places where the facility structure makes it impractical to support an overhead lifting system. Gantry crane 15 ton more often travels along rails with a fixed path, and portable gantry crane 15 ton is also available to provide a much more flexible lifting solution. 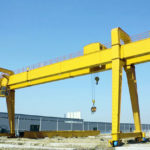 Ellsen machinery supplies a wide range of 15 ton gantry cranes to meet different needs of customers. 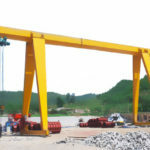 We also provide heavy duty gantry cranes for your large lifting needs, such as 30 ton, 50 ton and 100 ton. 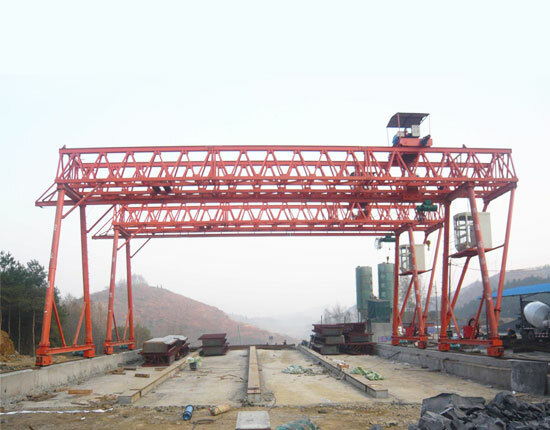 In addition, we are very pleased to work with you to design customized gantry crane for you special applications. Gantry lifting system does not have to be expensive or permanently change the structure of your facility. The 15 ton gantry crane can complete heavy lifting tasks easily and quickly, thus saving much time and money for your business. There are a plenty of benefits of using a gantry crane 15 ton. The gantry lifting equipment for indoor uses is a cost-efficient alternative to overhead crane as it does not require any runway or steel structure. The 15 ton gantry crane has simple structure and is easy to install and transport. Multiple types of gantry crane 15 ton is available for a wide range of applications. The crane can be classified into rail mounted and wheel mounted in terms of the way it moves. It has excellent safety and easy operation. 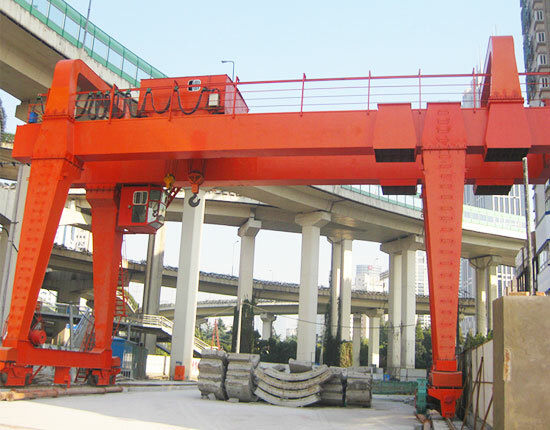 The electric gantry crane for heavy lifting applications requires less manual operation. This 15 ton lifting equipment provides great productivity and high utilization. The 15 ton gantry cranes produced by Ellsen fall in multiple types, mainly including single girder and double girder gantry crane according to the girder construction, rail mounted gantry crane and portable gantry crane according to different running mechanisms. Besides, the metal structure of the equipment can adopt box or truss type, cantilever design to meet specific needs of clients. With respect to indoor working environment, the adjustable height gantry crane is available to suit different ceiling heights as well as pass through the obstacles easily. Besides, there are some other options for 15 ton gantry crane, such as limit switches, alarms, crane control system and safety devices, which are equipped according to the specific applications and working environments. 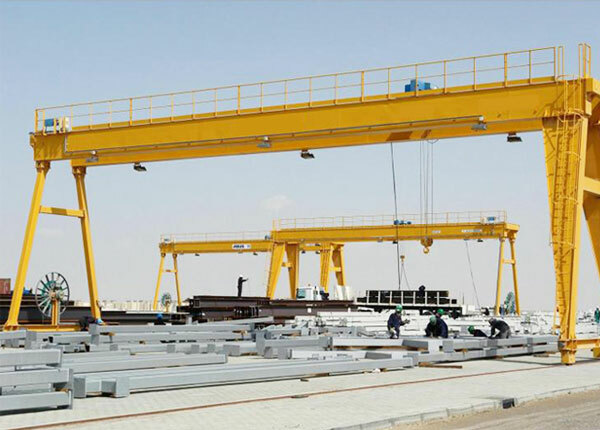 In short, our gantry crane equipment is designed and built to serve individual needs of each customer. If you are intended to buy a 15 ton gantry crane, contact our sales representatives online to know more about installation options, and they will also offer the best lifting solution for you. 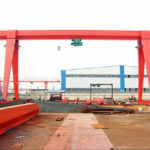 Gantry crane system mainly consists of main beam, end beam, supporting legs, end carriages, running mechanism, electric hoist and electric control system. It is designed and fabricated according to relevant standards. 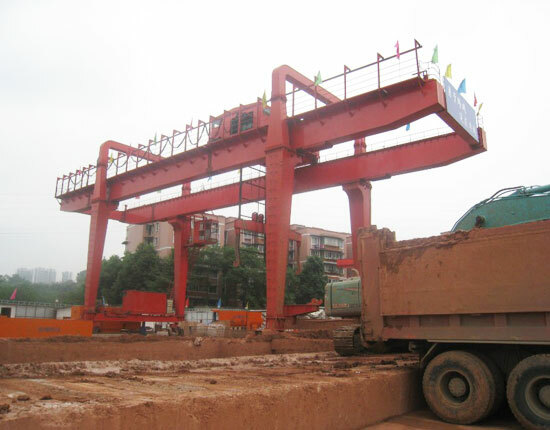 The main beam, end beam, supporting legs and end carriages mainly constitute the metal structure of the crane. According to different working environments, the metal structure can be designed into box type and truss type. With regard to different ways it moves, the 15 ton gantry crane has rail mounted and mobile type for you to choose from. Each type of running mechanism has its own advantages and disadvantages, so you should select according to your practical needs. 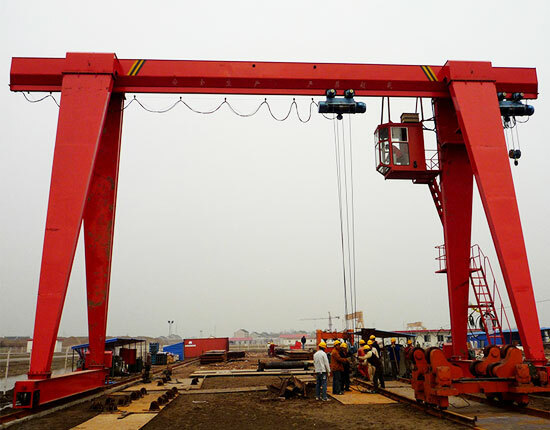 The electric hoist is the most fundamental part of gantry crane and undertakes the primary lifting tasks. It usually comes in two types including wire rope hoist and chain hoist. When looking for a 15 ton gantry crane, the most critical things you need to consider is to select a right hoist for your applications. Wire rope hoist is the most commonly used type and covers the most lifting applications. Its capacity ranges from 1 ton to dozens of tons and even more. When choosing the wire rope hoist, you should consider a few things such as the types of materials to be handled, the load weight and lifting frequency. A proper hoist can effectively promote productivity and service life of your 15 ton gantry crane. Whereas chain hoist is a cost-efficient alternative to wire rope hoist when a lower lifting capacity is required in workstation or shop, especially when you have always been dependent on manual labor to do heavy lifting work. When choosing the right hoist for your 15 ton lifting needs, you should specify your hoist specification, working environment and some hazards you may deal with during lifting process so as to make the best decision. We are also very happy to help you design the best lifting system for your applications. 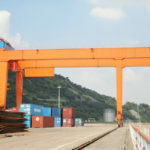 The electric control system of outdoor gantry crane is usually equipped with protection devices such as rain cover to protect the electrical device. Other options for safety devices are also available based on your specific requirements. We are committed to providing quality gantry crane and best service for clients in order to satisfy them to the greatest extent. 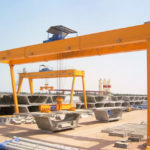 In addition to gantry crane, we supply other types of lifting systems such as overhead crane, jib crane, hoist, construction winch and marine winch to serve a variety of applications. All of our cranes comply with manufacturing and design standards and are also under strict quality control so as to ensure high quality products. We also provide commissioning, installation and maintenance services according to relevant contract. 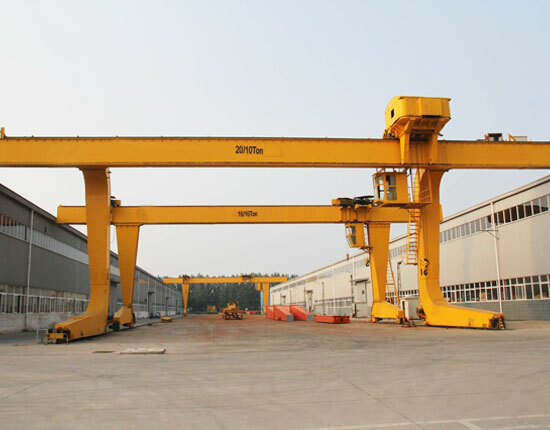 As a leading gantry crane manufacturer and supplier, we focus much on the equipment research and development as well as optimization of the crane structure, making it to achieve a higher efficiency and better performance. The great satisfaction of clients is the best catalyst for us to continue to stay ahead. If you are interested in 15 ton gantry crane, contact us now to get the most suitable lifting solution as well as a favorable price. Look forward to cooperating with you!